Eric A. Stanley is an assistant professor in the Department of Gender and Women’s Studies at the University of California, Berkeley. They are also affiliated with the Haas LGBTQ Citizenship Research Cluster and the Program in Critical Theory. Eric received a Ph.D. in the History of Consciousness Department at the University of California, Santa Cruz and previously taught in the Department of Gender and Sexuality Studies at the University of California, Riverside. Their research and teaching work with radical trans/queer critique, anti-colonial feminisms, and critical theory. They are currently completing their first manuscript Queer Remains that argues racialized anti-trans/queer violence, including direct attacks, prisons, suicide, and HIV/AIDS, is foundational to, and not an aberration of, western modernity. They are also working on two other projects, the first on nonsovereignty and the trans/queer people involved in Left insurgent underground activities in the 1970s and 1980s, and a new project on geographies of dislocation and trans resistance, focusing on the Bay Area. 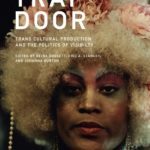 Along with Reina Gossett and Johanna Burton, Eric edited the anthology Trap Door: Trans Cultural Production and the Politics of Visibility (Cambridge: MIT Press, 2017), which won the Publishing Triangle Award for Trans and Gender-Variant Literature and the John Leo & Dana Heller Award for Best Single Work, Anthology, Multi-Authored, or Edited Book in LGBTQ Studies from the Popular Culture Association. 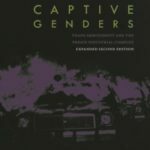 With Nat Smith, they edited Captive Genders: Trans Embodiment and the Prison Industrial Complex (AK Press 2011/15), which won the Sylvia Rivera Award in Transgender Studies from CLAGS: Center for LGBTQ Studies. 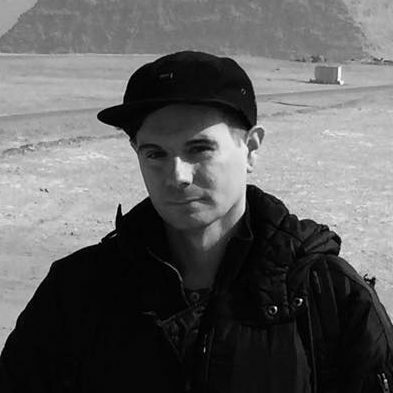 In collaboration with Chris Vargas, Eric directed the films Criminal Queers (2019) and Homotopia (2008). Reina Gossett, Eric A. Stanley and Johanna Burton, eds. Eric A. Stanley and Nat Smith, eds. Revised and Expanded Second Edition, (Oakland: AK Press, 2015). “Anti-Trans Optics: Recognition, Opacity, and the Image of Force,” The South Atlantic Quarterly 116:3, July 2017. “Decolonizing Transgender: A Roundtable Discussion,” with Tom Boellstorff, Mauro Cabral, Micha Cárdenas, Trystan Cotton, Kalaniopua Young, and Aren Z. Aizura, TSQ: Transgender Studies Quarterly 1:3, September 2014. “Gender Self-determination,” TSQ: Transgender Studies Quarterly, 1:1, May 2014. “Introduction,” Zannegaar, special issue on Gender, Torture and Power, issue 15, August 2013. “Queer Love Economies: Making Trans/Feminist Film in Precarious Times,” co-authored with Wu Tsang and Chris Vargas, Women and Performance: A Journal of Feminist Theory Vol. 23, March 2013. “Performing Gender and Sexual Liberation,” co-authored with Ryan Conrad and Chris Vargas, Aparté 2, May 2013. “Queering Prison Abolition, Now?” co-authored with Andrea Ritchie and Dean Spade, American Quarterly, March 2012. “Near Life, Queer Death: Overkill and Ontological Capture,” Social Text 107, Summer 2011. “Known Unknowns,” co-authored with Reina Gossett and Johanna Burton, in Trap Door Trans Cultural Production and the Politics of Visibility, Reina Gossett, Eric A. Stanley and Johanna Burton, eds., (Cambridge: MIT Press, 2017). “The Weight of Words: Legacies and Futures,” Lia Gangitano, Ariel Goldberg, Jack Halberstam, Fred Moten, and Eric Stanley in Trigger: Gender as a Tool and a Weapon, (New York, New Museum, 2017). “Critical Theory, Queer Resistance and the Ends of Capture,” co-authored with Liat Ben-Moshe, Che Gossett, and Nick Mitchell, in Geoffrey Adelsberg, Lisa Guenther, and Scott Zeman, eds. Death and Other Penalties: Continental Philosophers on Prisons and Capital Punishment (Bronx: Fordham University Press, 2015). “Fugitive Flesh: Gender Self-determination, Queer Abolition, and Trans Resistance” in Eric A. Stanley and Nat Smith, eds., Captive Genders Trans Embodiment and the Prison Industrial Complex (Oakland: AK Press, 2011). “Slow Boil: AIDS and the Remnants of Time” in Mattilda B. Sycamore, ed., Why Are Faggots So Afraid of Faggots? Flaming Challenges to Masculinity, Objectification, and the Desire to Conform (Oakland: AK Press, 2012). “Marriage is Murder: On the Discursive Limits of Matrimony” in Ryan Conrad and Yasmin Nair, eds., Against Equality: Queer Critiques of Gay Marriage (Lewiston: Against Equality Publishing Collective, 2010). “Race Haunted, Otherwise” in Mattilda B. Sycamore, ed., Nobody Passes: Rejecting the Rules of Gender and Conformity (Emeryville: Seal Press, 2006). Criminal Queers, TRT 74 min., DV with Chris Vargas (2019). Homotopia, TRT 28 min., DV and Super 8 with Chris Vargas (2006). Labour and Fetish, TRT 6 min., DV, with Chris Vargas (2006).